Martindale Electric is providing a thermometer kit to help plant engineers stay within code of practice on legionella control. A legionella testing thermometer kit, which quickly and reliably tests and monitors water temperature and conditions that can favour the growth of Legionella and other harmful bacteria, is now available from Martindale Electric. Carrying a risk of infection, such as Legionnaires disease, legionella bacteria is commonly found in installations such as cooling towers and air conditioning and industrial cooling systems in larger buildings, such as hotels and hospitals. With water temperature being a key factor, the new ThermokitLGN Legionella Testing Thermometer Kit can be used to monitor and test the temperature of both standing water and the surface of pipes and tanks that form part of a water system. 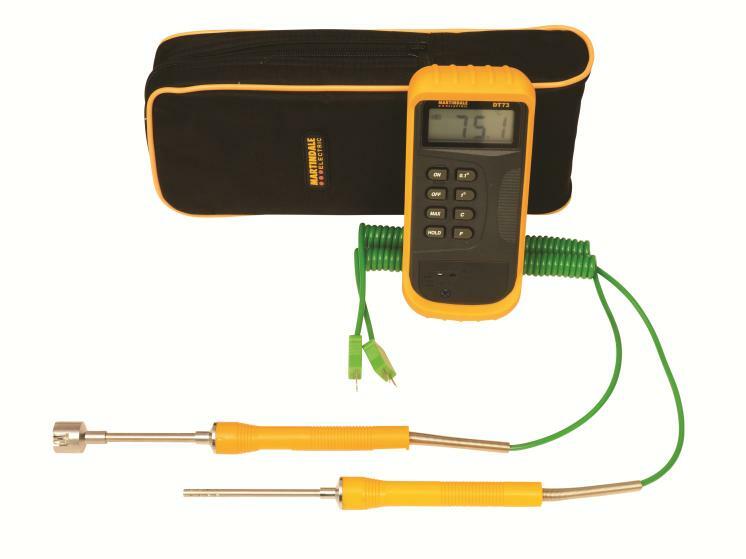 The kit includes a DT73 Thermometer with maximum function and two robust surface and immersion probes to simplify measurement in accordance with the revised Approved Code of Practice (ACOP) issued by the Government’s Health and Safety Executive. Lightweight and complete with a soft carrying case, the ThermokitLGN from Martindale Electric contains everything you need to comply with recent legislation, which states that all employers who manage premises with hot/cold water systems and/or wet cooling systems have a legal responsibility to identify any risk of contamination and to prevent or control it. The DT73 thermometer is supplied in Martindale’s tough yellow holster, to withstand on-site conditions and provide many years of service.